Painting is one of the common home improvement activities which most people treat as a necessity. Home painting is mainly done after the building has been completed and also on a regular basis to maintain the wonderful appearance. However, it's important to note that painting is not an activity that you can just wake up one morning and decide to do, you need to have adequate skills and experience for a professional painting exercise to be done. Unfortunately, some homeowners are yet to appreciate the importance of painting while some do not know what they actually need for an effective painting job to be done. 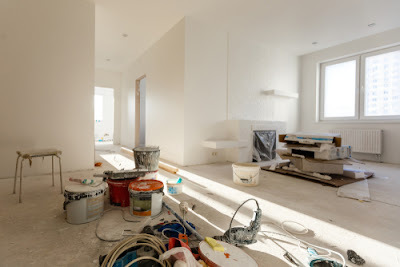 This article will, therefore, take you through a few aspects that you need to know about home painting with a key focus on the importance of painting your home. To start with, it's important to note that home painting comes in two major forms; the exterior and interior home painting. Although most homeowners tend to put more emphasis on the interior painting, exterior painting is also equally important since it gives your visitor a good first impression. However, you will realize that the requirement for exterior painting may slightly vary with those of the interior painting primarily due to the level of exposure to factors that directly affect the painting. 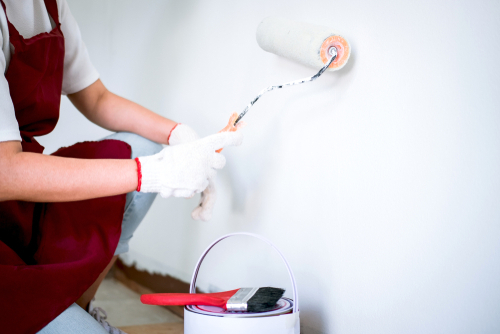 So, what are some of the common benefits of painting your home? -It improves the general appeal of your home: The primary objective of painting is usually to make the house look more beautiful. As a homeowner, you will have an opportunity to select the color that you find a lot of pleasure in and make it your general home theme. Some of the factors that you can consider when deciding the best color to use the type of curtains you have, the most dominant color in your home among others. The good news is that you have a lot of options to choose from, thanks to the wide variety of colors that are readily available at our local vendors. -Increases the value of your property: When it comes to home revaluation, the painting will act as one of the key checking points. Remember that it's not just any type of painting but professional painting. This is primarily essential for anybody planning to buy or sell a home and the real estate agents. -Painting helps keep dust particles away: This is mainly essential in interior painting. A home that has not been painted or one that has been poorly done provides a lot of hiding place for the dust particles to hide. Apart from that, during cleaning, eliminating such dust particle from a wall that is properly painted is easier compared to a wall that is not painted. -Maintaining the wall: Usually, most homes have plastered walls which if not well maintained, the materials may start falling off leaving some dents on the wall at the same time making your house untidy. However, when you paint, you add another coat which helps put all those particles together. For search reasons, most painters advice that you add more than three coats to your wall and do regular maintenance to make sure that they remain intact and at the same time make the house look updated and refreshed. -Protect the exterior surfaces: As earlier mentioned, the exterior surfaces are exposed to a lot of external factors that makes them more vulnerable to wear and tear. A good example of such exterior components is the rooftops. Most rooftops today are made of sheets and the concrete tiles which are exposed to external factors like rain or ice will end up rusting and wearing off respectively. However, with proper painting, you can add another coat on top that will prevent the sheet from reacting with external factors thus making them more resistant and durable. -Painting makes your home look bright: Nobody wants to live in a very dull house. However, with proper painting, you do not have to worry about such problems as long as you make sure that the paint that you use can effectively reflect the light be it from outside or electricity. -Hire professional painter: If you want incredible painting service to be done, then you will need the services of a person who not only have adequate skills but also experience. With the help of the internet, finding such painters is no longer a big hustle since you can do the entire research including booking an appointment at the comfort of your home. -Quality of the paint: Usually, the higher the quality of the paint, the more expensive it is. However, you do not have to strain just to have the best quality, just buy the paint that suits your budget. However, it's highly recommendable that if you doing exterior painting, consider quality paint which can hardly wear out and for the interior, you can buy other qualities since it's not exposed to a lot of external factors. -Painting is not a one time job: In order for the painting to look perfect and more attractive, then it has to be done regularly. 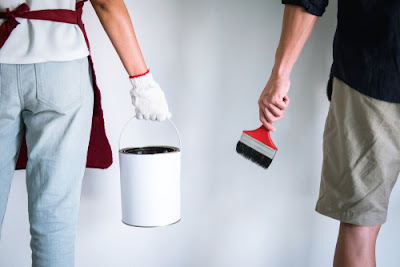 Usually, painting especially the exterior painting will always fade away with time while the interior may have some dust particle that may have stuck, the only way to deal such condition is through repainting. al painters, you will have a chance to choose the best painter who will charge you less. Also, avoid mixing a lot of colors when painting your home a this may result in a lot of unnecessary wastage. If the area to be painted is big enough especially for commercial buildings, you may need to consider buying the paint directly from the manufacturer as it's likely to be more economical, just to name a few.